The government squandered over £100m on failed, cancelled or delayed IT contracts in the last 12 months, according to a report from the Taxpayers’ Alliance (TA). TA's report claimed that a staggering £5.1bn went down the drain across Whitehall departments, with the Ministry of Defence accounting for nearly 50% of the total. When it came to IT, the Ministry of Justice took the biscuit, wasting £56.3m on the Shared Services Organisation contract – an internal ERP system gone bad. Then came the Department for Work and Pensions, writing off £27m after its online benefits system - My Benefits Online (MyBOL) - was scaled back. And the frivolous spending kept on coming; the Department for Transport recorded a £2.2m loss in relation to compensation for the early termination of an IT contract; the Department for Business, Innovation and Skills wrote off £1.24m on its FLITE programme. 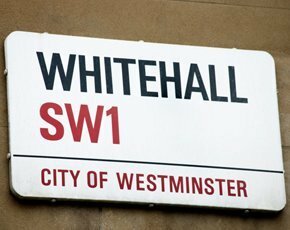 "While in some cases closing a programme or getting out of a rental agreement early may make long-term sense, many of these losses are simply ludicrous and will seriously damage the trust taxpayers have in Whitehall civil servants,” said Jonathan Isaby, chief executive of the TaxPayers' Alliance. “It is clear there remains far too much waste in the system. With an ever-growing debt burden, we must make government more efficient and ensure taxpayers are getting real value for money."